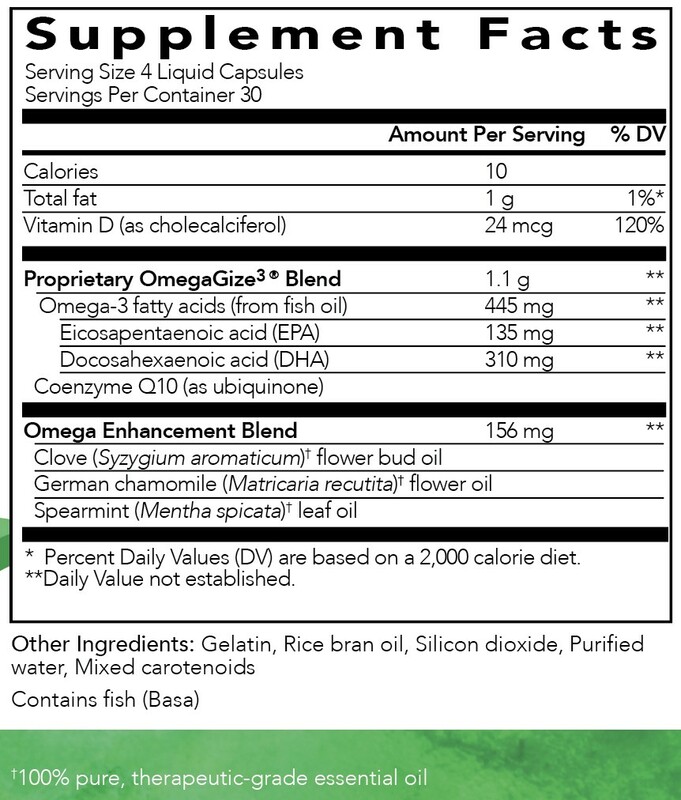 OmegaGize³ 120 ct | Got Oils? *These statements have not been evaluated by the Food and DrugAdministration. This product is not intended to diagnose, treat,cure, or prevent any disease. Take 4 liquid ocean capsules daily, 2 inthe morning and 2 in the evening for daily maintenance. Take 8liquid ocean capsules for greater health benefits.